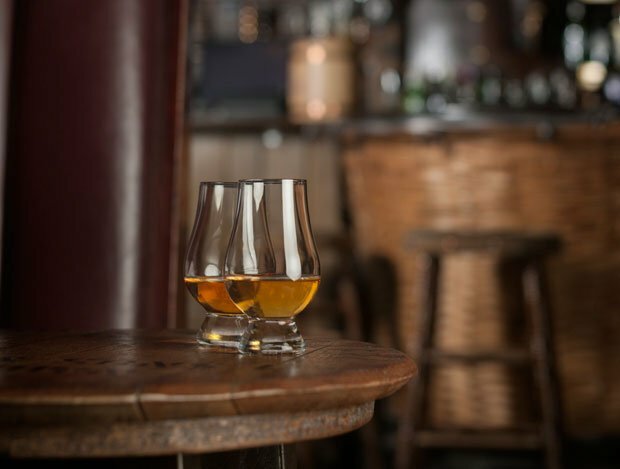 It's a shape familiar to many a whisky lover – most of whom will have at least one in the kitchen cupboard or drinks cabinet, more than likely with some distillery logo or whisky event branding on it. First produced in 2001 by glass company Glencairn Crystal in East Kilbride, the distinctive shape of the Glencairn glass has proliferated to the point that you'd be hard pressed to find a distillery or bottler in Scotland that doesn't utilise it in some way. Company founder and chairman, Raymond Davidson, designed the glass with the help of master blenders, and based it on the traditional nosing copita used by distilleries. The curved base of the Glencairn, which narrows at the top, helps concentrate the aromas from the dram. Davidson has received numerous accolades for his creation, which has spread across the world from its Lanarkshire base.